For SKU 2269259030(2.8 L) we recommend purchasing this accessory kit 0000025026. 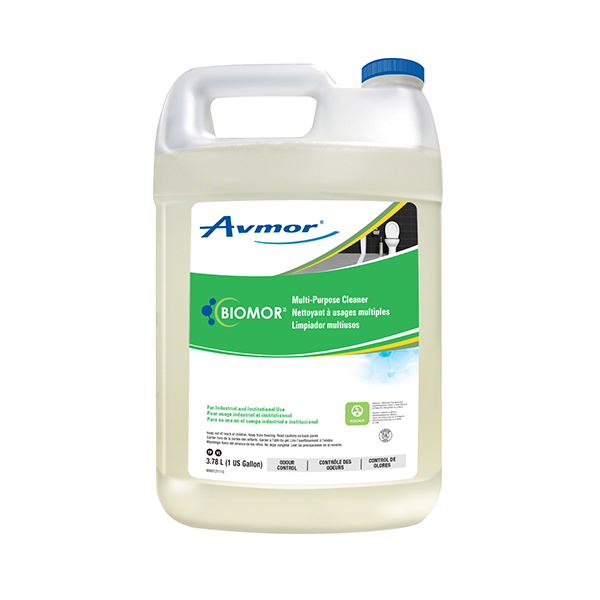 BIOMOR MULTI-PURPOSE CLEANER is a general use product for superior cleaning and odour control. 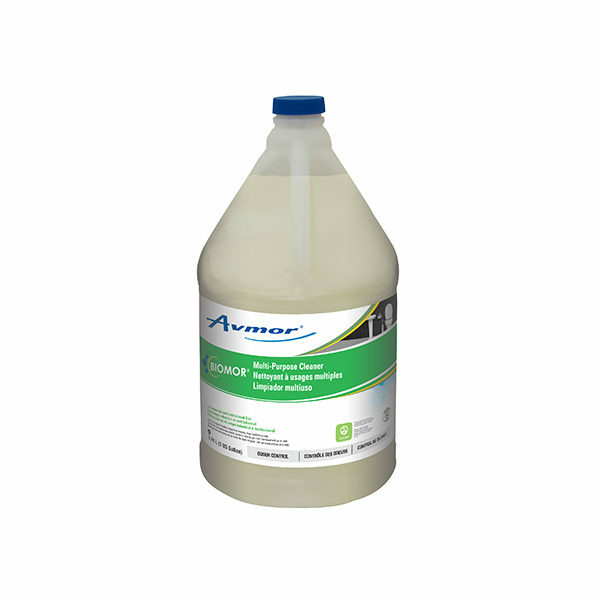 This bioactive formulation, containing bacterial spores, is designed to breakdown and digest organic matter. Its enzymatic activity provides outstanding breakdown of starch, carbohydrates, fats, oils and grease. Ideal for institutional, industrial and foodservice use. 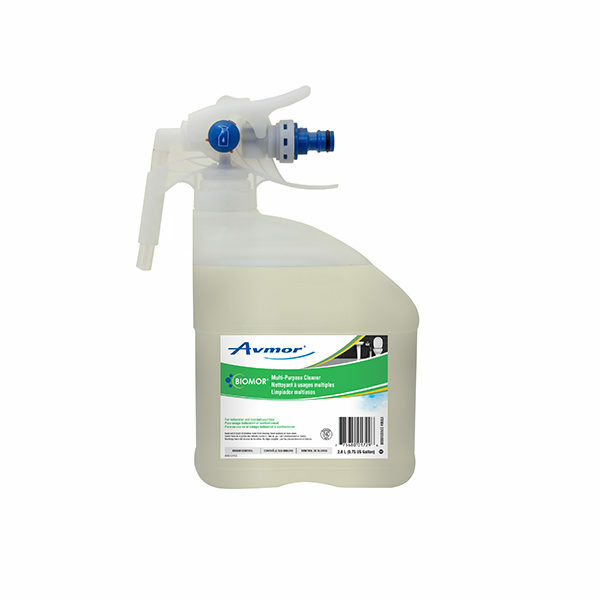 This product is also ideal for odour control in garbage bins, compactors, refuse areas and bathrooms including floors, urinals, walls and toilet bowls. 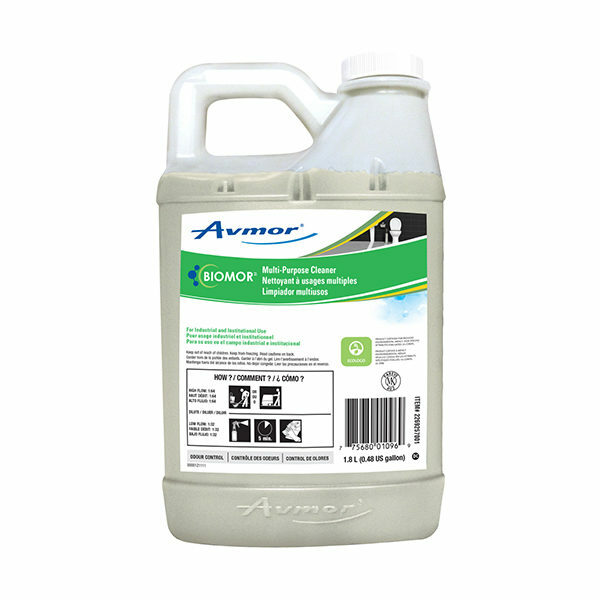 BIOMOR MULTI-PURPOSE CLEANER provides an effective and environmentally preferable cleaning solution. Best results are seen when applied to damp surfaces and the area is kept wet as long as possible. 1) Spray directly onto the surface or apply with a mop or an autoscrubber. 3) Wipe or let dry.